We knew it was coming, and now we've got official confirmation from the horse's mouth - Yahoo is buying Tumblr for $1.1 billion (around £725 million/ AUS $1.1 billion). It's the biggest buy made by Yahoo's chief executive Marissa Mayer since she took the reigns last July. "On many levels, Tumblr and Yahoo couldn't be more different, but at the same time, they couldn't be more complimentary," said Mayer in a statement today. 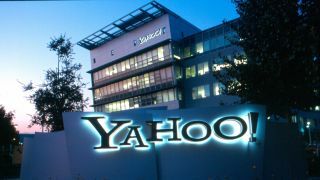 While part of Yahoo, she confirmed that the microblogging site will still function as its own thing. "We promise not to screw it up. Tumblr is incredibly special and has a great thing going. We will operate Tumblr independently," she said on the Yahoo Tumblr page. She also confirmed that Tumblr founder David Karp will remain CEO of the blogging platform. Karp has also made it clear that the blogging site will not be making any drastic changes under its new ownership. Many users voiced their concerns when the deal was still in the rumour stages, with some even leaving the site. "We're not turning purple. Our headquarters isn't moving. Our team isn't changing. Our roadmap isn't changing," he said on his Tumblr. Still, Yahoo's new buy will give it better inroads into a younger generation of internet users. Meyer promised "Yahoo! will help Tumblr get even better, faster."